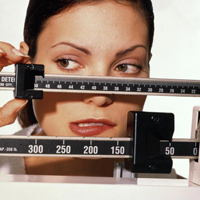 Home>Endocrinology>Lose weight without a strict diet? Easily! 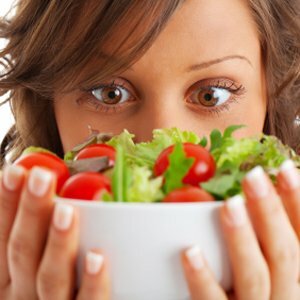 Lose weight without a strict diet? Easily! Every woman at least once in their life missionHe examines himself in the mirror and decided that it would be necessary to lose a few kilos. But can we do it without harmful and debilitating diets, following a set of simple rules of supply? Of course! Just want to say that we should not be taken forimplementation of all points of our "plan" for losing weight tomorrow morning. Start with what you think the most simple. Give yourself a few days (the optimum time - a week) that the rule is no longer cause stress and become routine. Only after that switch in your life the next step. So there you go! Drink water - pure and mineral. Drink herbal teas, fruit and berry compote and fresh juices. Almost no restrictions, except for the reservations that the day you need to drink a half - two liters of fluid. And, of course, do not add sugar drinks. Learn how to chew food. If you "bystroezhka", try the first couple of days to consider as you make chewing movements each time before swallowing. They should be about thirty. Good food is crushed easily absorbed by the body, without irritating the stomach lining, and the process of carbohydrate digestion begins in the mouth. Breakfast - the main energy meal. Limit proteins and fats, complex carbohydrates - what you need. (Perfect Breakfast - multigrain porridge with sweet fruits and nuts or seeds with a spoon). Give up the habit tightly to eat before going to bed. A stuffed stomach prevents you from sleep, and the next day you will have twice the normal to compensate for the lack of sleep. Every day eat at least one serving of dark green vegetables: spinach, broccoli, greens, Brussels sprouts. Learn to savor meals with herbs and spices instead of salt. As snacking keep a fresh fruit. If you do not like the food that you tried to hide it and do not touch it. Why do you need the extra calories derived no pleasure? Every day, eat a small handful of nuts(Almonds, cashews, hazelnuts, walnuts, Brazil, pine) or seeds (sunflower, pumpkin, flax). Needless to say, they should be roasted and unsalted. Every morning drink on an empty stomach half an hour beforebreakfast glass of warm water or room temperature water with lemon to help the body to withdraw the accumulated night toxins and carry them with you all day. Before we began to eat, listen toyour feelings. If you experience a slight feeling of hunger, and you can do other things on his background, put a meal on the half hour. So your body will gradually consume fat reserves. Just do not overdo it, if the body to arrange a hunger strike, he will begin to literally squeeze out all incoming food possible in the event of "a nuclear war," and instead of losing weight, you gain extra weight. Gradually introducing into their daily routine, thesesimple rules, you will in a few weeks will notice improvement of health, energized and smiling reflection. And if at the same time you will walk and breathe fresh air, the effect is stunning. Cook dimensional pants!